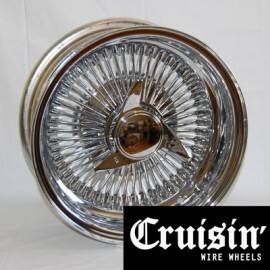 Set of 1 - 20X8 inches - All Chrome Wire Wheels. Very solid wheels, reverse style used for classics (Chevrolet, Cadillac, Pontiac, etc.). OFFSET: 0 to +20 WHEEL WIDE: 7" WHEEL DIAMETER: 20" NUM..